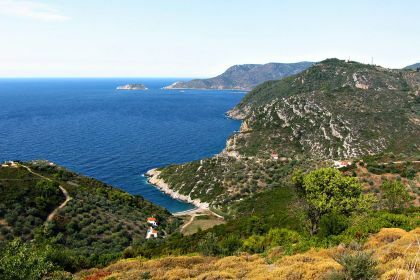 Fertile, verdant Alonnisos is the third member of the Northern Sporades, after Skiathos and Skopelos. Clad in the greenery of pine and oak trees, as well as vineyards, olive and fruit trees, it manages to retain its tranquil ambience despite being a popular holiday destination. 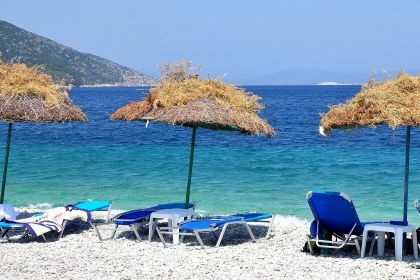 Because the main, pebbled beaches of Kokinokastro, Leftos Gialosa and Agios Dimitrios can become busy, being aboard a yacht will spare you the hassle of finding a spot. As you recline on deck, or dive into the turquoise waters, you’ll be the envy of all the landlubbers. The ports of Patitiri and Steni Vala, in the south, offer spectacular scenery and clean, modern amenities. Alonnisos falls within a national marine park, one of only two in Greece and the largest marine protected area in Europe. Needless to say, the aquatic life here is spectacular and diving and snorkelling is the best way to experience it. 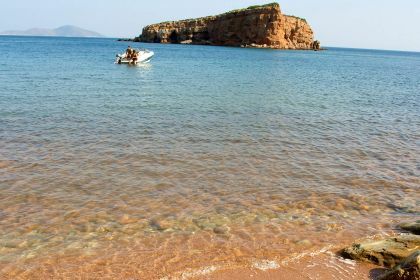 Glyfa, with its quiet beach and crystal-clear water is an idyllic snorkelling spot. You may even spot a rare Mediterranean monk seal. For more land-based activity, wander along one of the island’s 14 official walking trails and breathe in the scent of pine, oleander and oregano. Fancy a bit of pampering? Head to Amani Spa in Pagiri, where a range of luxurious, organic treatments are offered in an African safari tent perched high among olive trees overlooking the sea. Seafood, traditional Greek cuisine and contemporary Mediterranean fare is on offer across the island. Harbour-side Ostria has some of the best sea views, best meals and best prices. You can’t go wrong with their grilled octopus, seabreem stuffed with herbs and ouzo or their beef with chestnuts. Tucked away in an alley in old-town Chora, Taverna Astrofegia serves a mix of traditional Greek food and international cuisine such as tabbouleh and shrimp mille-feuille. There are a few bars and lounges in Patitiri and Alonnisos town, the island’s two largest villages. Hayiati bar in the old town often has live music and the open-air terrace is a fabulous place for a romantic cocktail or two, with views of the sea. Drunk Seal Cocktail Bar, right near the port in Patitiri, is a vibey spot that might get you dancing. 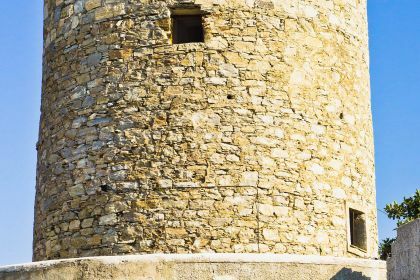 Get ready to delve into Alonnisos and all it has to offer by contacting our friendly broker. Alternatively, call us or leave a message using the contact form.